Our stations are manned seven days a week , 24 hours a day. Our volunteers are on call 24 hours per day, 7 days per week, 365 days a year to protect and serve the community. Additional staffing is utilized on busy summer weekends. 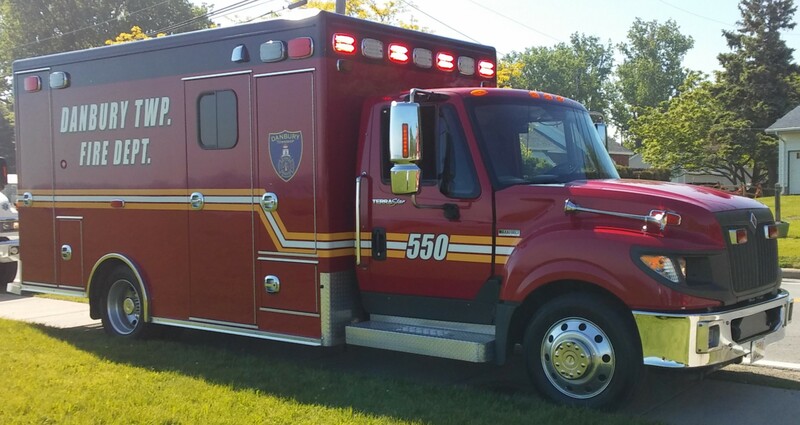 All of our members are certified to State and Federal standards for first responders and our staff includes Paramedics, Advanced Emergency Medical Technicians, and Emergency Medical Technicians(EMTs). Paramedic Advanced Life Support EMS services are also available. Our Firefighters are trained to national standards and many of our personnel are also trained in rope rescue. Certified Divers are utilized to provide state of-the-art-water rescue capabilities. We are involved with fire prevention education for children and adults. Our Fire Chief is Keith Kahler. Please feel free to contact our department with any questions or concerns you might have. We look forward to serving our community for many more years. Danbury Twp. Vol. Fire Dept. Danbury Township has experienced a strong and continuous record of outstanding property and life-saving service since the organization of the Marblehead Volunteer Fire Department in 1895 and the Lakeside Volunteer Fire Protective Association in 1905. On March 13, 2013 a century-plus history of contracting with these two departments came to momentous consolidation with the formation of The Danbury Township Fire Department. Trustees Charles Scott, David Hirt and Dianne Rozak unanimously agreed to a resolution to create the merged department with an effective date of July 1, 2013 for full operational implementation. This positive combination of resources will continue to offer the same dedicated, professional level of service that residents and visitors on the Marblehead Peninsula have come to expect and appreciate. 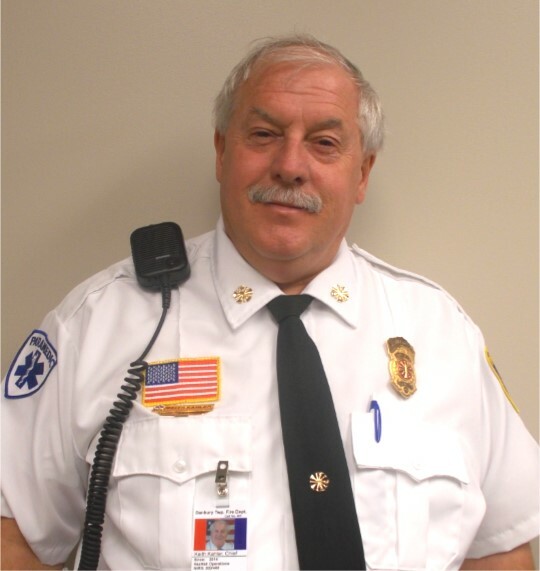 The Trustees have appointed Marblehead Fire Chief Doug Waugh as Interim Chief to oversee the merger process. Prior to the merge forming the Danbury Township Fire Department, the Marblehead Fire Department continuously served the residents of Danbury Township, Marblehead and Lakeside since 1895. The Department was owned by the Village of Marblehead making it the township's only municipal fire department. The Marblehead Fire Department could carry a roster of up to 35 members. 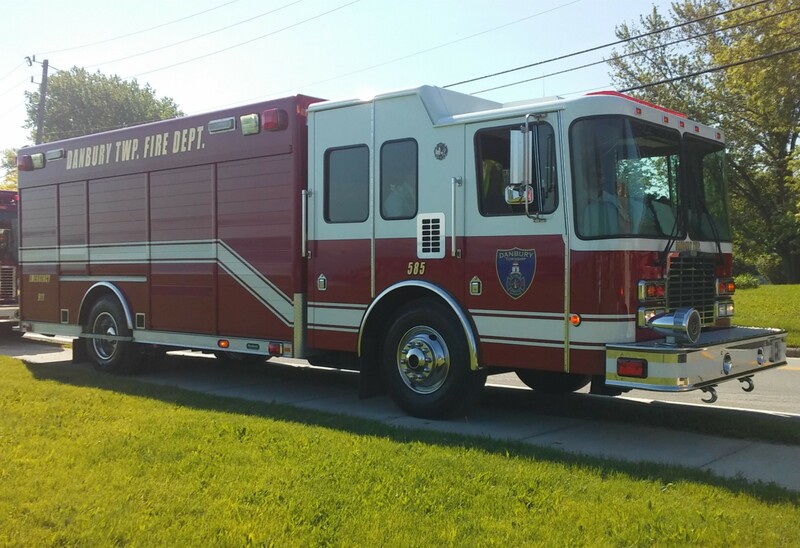 The equipment consisted of two fire engines, one grass fire truck, one heavy rescue truck, two type-2 ambulances and one parade truck (a 1941 Dodge Buffalo Pumper still in working condition). The department is proud of being a leader in fire and EMS protection. 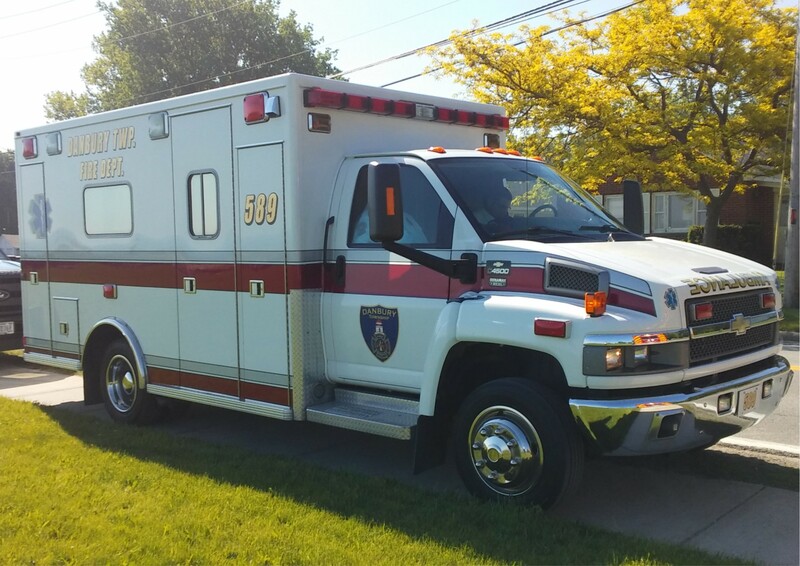 In 1959, the department was the first in Ottawa County to provide ambulance service. It was also the first department to staff full-time personnel. The Lakeside Fire Department, organized in 1905, wasa non-profit fire department consisting of 35 active members. The fire chief was Ed Cochenour. The Lakeside Fire Department provided EMS, Fire Suppression, Ice and Water Rescue, High-Angle Rope Rescue, and Fire Prevention services to all of Danbury Township. The department also provided mutual aid resources to the Ottawa County Hazardous Materials Team, The Ottawa County East-End Dive Team, and provide direct support to United States Coast Guard Station Marblehead. 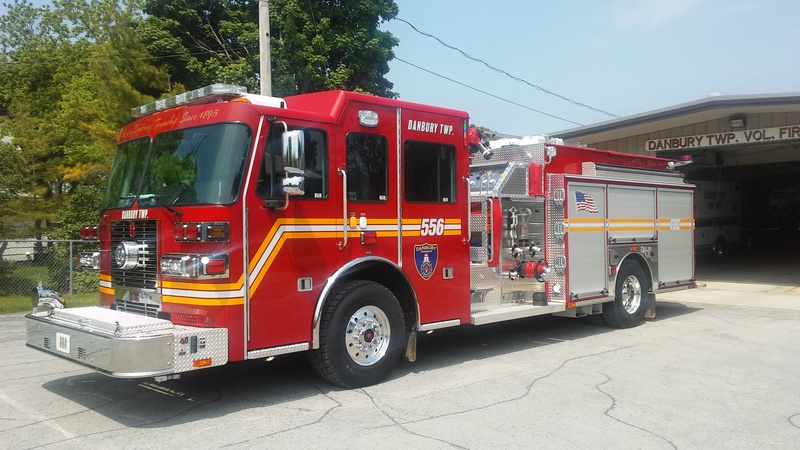 The Lakeside Fire Department operated from two stations in Danbury Township and was equipped with state-of-the-art fire fighting, EMS, and rescue equipment. 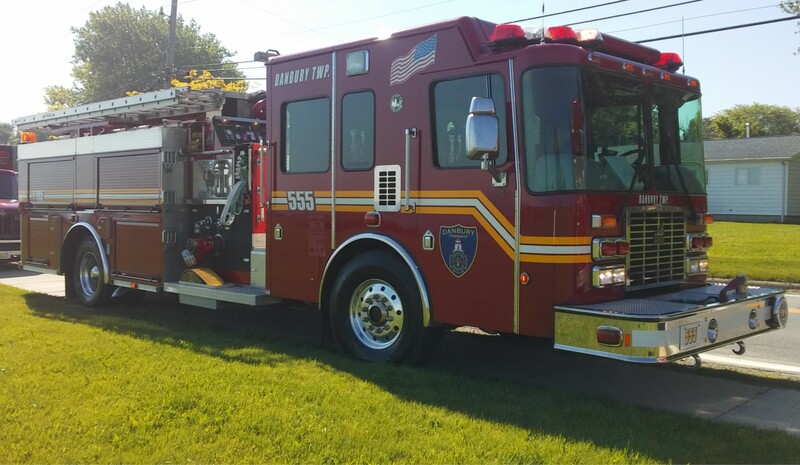 The department operated a fleet of vehicles including a 2004 Ferrara Quint (a combination pumper and 75-foot ladder truck), a 2002 Hackney heavy rescue truck, a 2000 Horton advanced life support ambulance, a 1996 Sutphen 1,500 GPM pumper, a 1992 Horton advanced life support ambulance, a 1985 Sutphen 1,200 GPM pumper,and a 1983 Cherolet dive rescue response vehicle. The department also operated a Boston Whaler dive/water rescue boat and housed Ottawa County Hazardous Materials Team response trailer Unit 2. 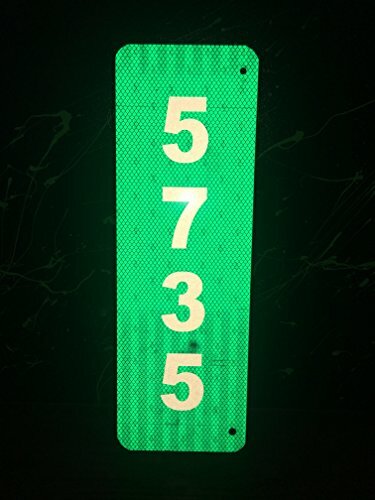 Green and white reflective address signs are available for $10.00 from the Station 1 Headquarters. These reflective signs will save precious minutes if emergency personnel need to find your house.Call (419) 798-5219 for more information. When a fire alarm system is activated, the police and fire department will respond. If the property cannot be entered a door or window may need to be broken to get inside. This can be very costly for the property owner. A solution to this is to have a Knox Box installed. 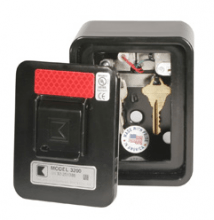 This is used in many communities for secure access during fire or emergency situations. Call (419) 798-5219 for more information. We strive to provide Danbury Township with prompt, efficient, and professional emergency services with compassion. Our 100-year commitment to the residents of Danbury Township and their guests speaks for itself. We stand prepared and ready to serve. The men and women of the Danbury Township Fire Department thank-you for your support!